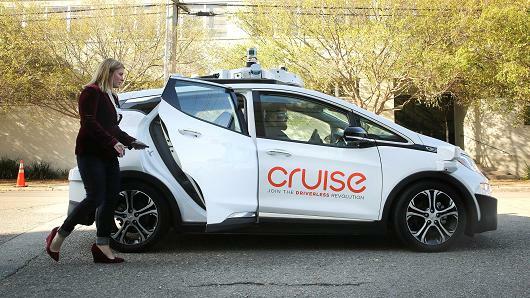 A woman gets in a self-driving Chevy Bolt EV car during a media event by Cruise, GM’s autonomous car unit, in San Francisco, California, U.S. November 28, 2017. 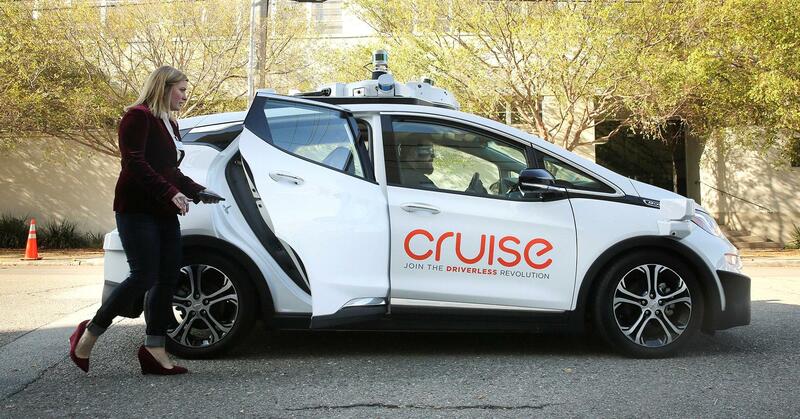 General Motors is a leader in the future autonomous vehicle network space, according to Citigroup, spelling a “raging bull” case for the automaker. Though analyst Itay Michaeli believes the automaker’s shares could nearly double to $70 over the next 12 months, he argued that the stock could soar to $134 over the long term as autonomous vehicle technology networks become commonplace. 0 responses on "General Motors is a 'raging bull' opportunity in autonomous car space: Citigroup"